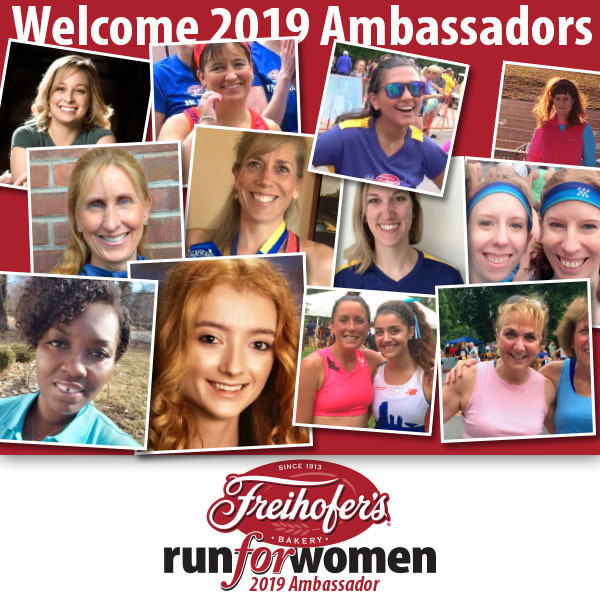 ALBANY, N.Y. (March 27, 2019) — Officials at the Freihofer’s® Run for Women today announced the launch of the event’s Ambassador Program, an initiative designed to encourage more women to get involved in one of the nation’s most prestigious all-women’s road races. The application process began in March and an outstanding group of women applied. A committee then reviewed the applications and whittled the field to 12 women who have not only made the event a part of their lives, but also have a strong social media presence and can inspire others to take part. These individuals will represent the race at community events, other regional runs, and on social media. 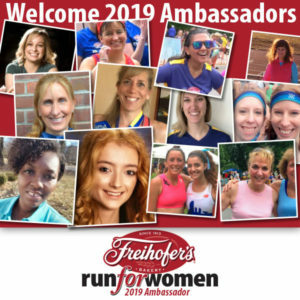 All Ambassadors receive complimentary entry into the 2019 event, two free entries to give away, discount codes to offer at races and events, as well as great event merchandise to wear at area races. For more information about the 41st annual Freihofer’s® Run for Women, 32nd annual Kids’ Run and 9th annual Freihofer’s® Junior 3K Run, visit freihofersrun.com. From the home page, you can also link to the event’s Facebook, Instagram, Twitter and YouTube pages. Event sponsors include the Charles Freihofer Baking Company, Price Chopper Supermarkets and The City of Albany. Media partners include 99.5 The River and the Times Union.